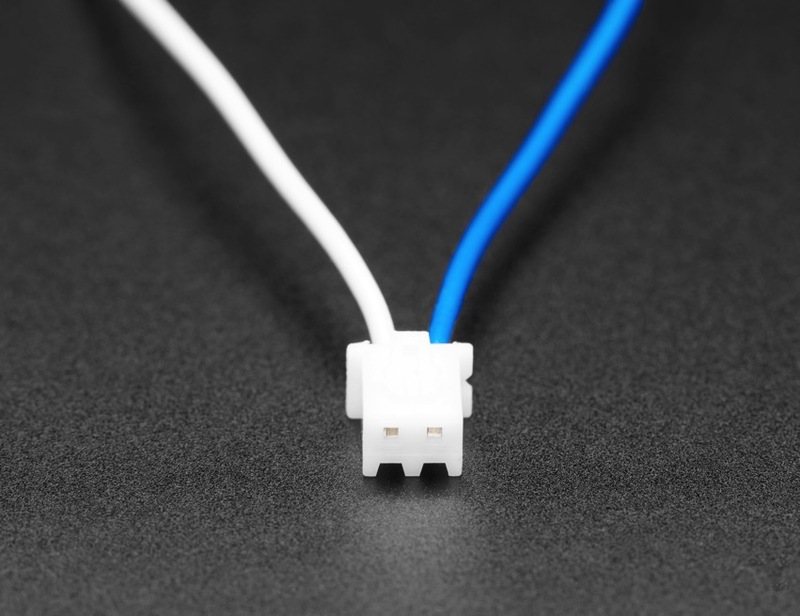 NEW PRODUCTS – Arcade Button and Switch Quick-Connect Wires – 0.187″ + 0.25″ (10-packs) « Adafruit Industries – Makers, hackers, artists, designers and engineers! 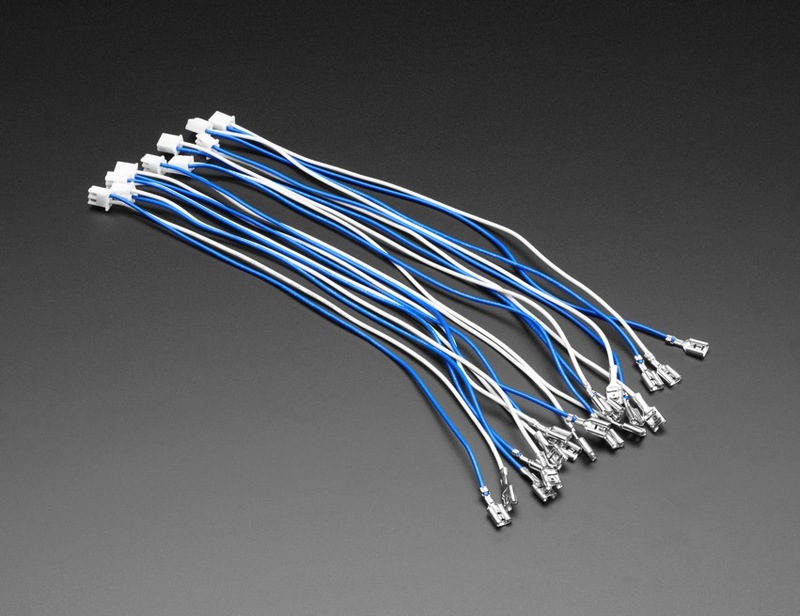 Quick connector wire sets make wiring up our arcade-style or metal buttons quicky-quick. 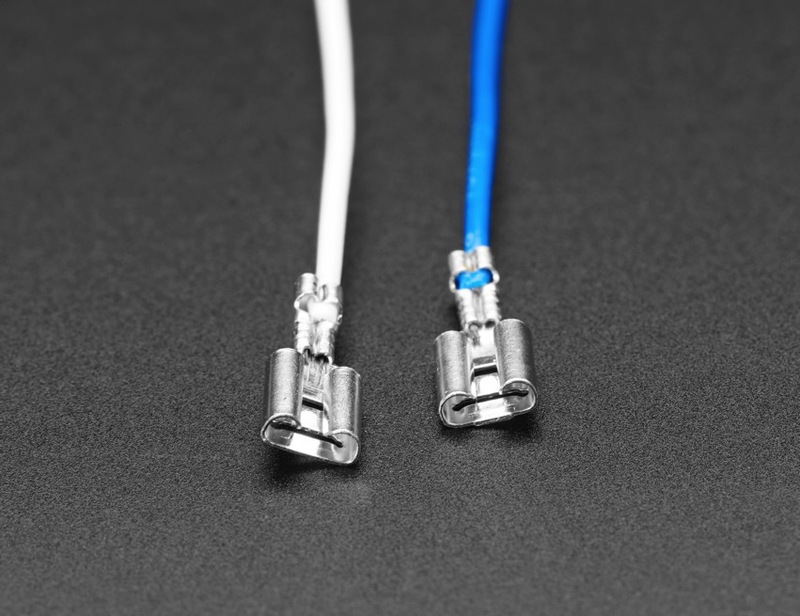 Each wire comes as a ‘pair’ with two quick-connects pre-crimped. 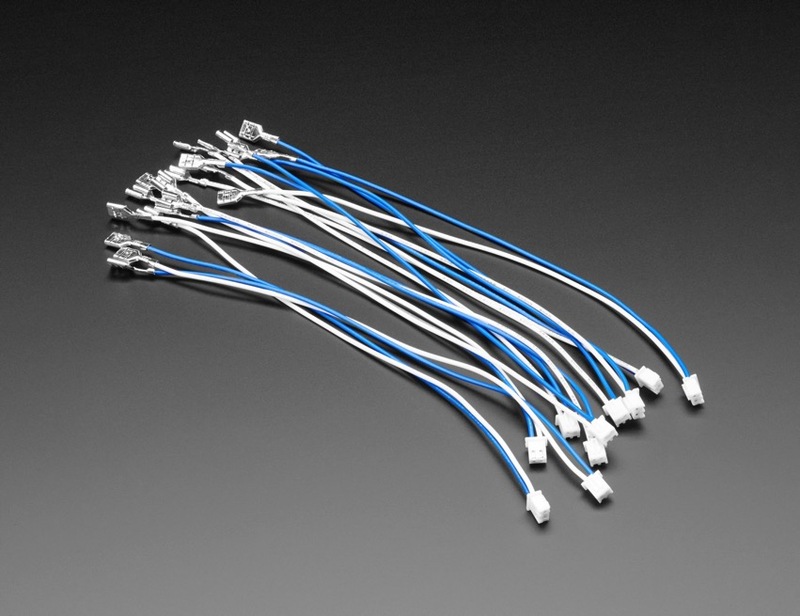 The wires are terminated together in a JST 2.5mm 2-pin connector. 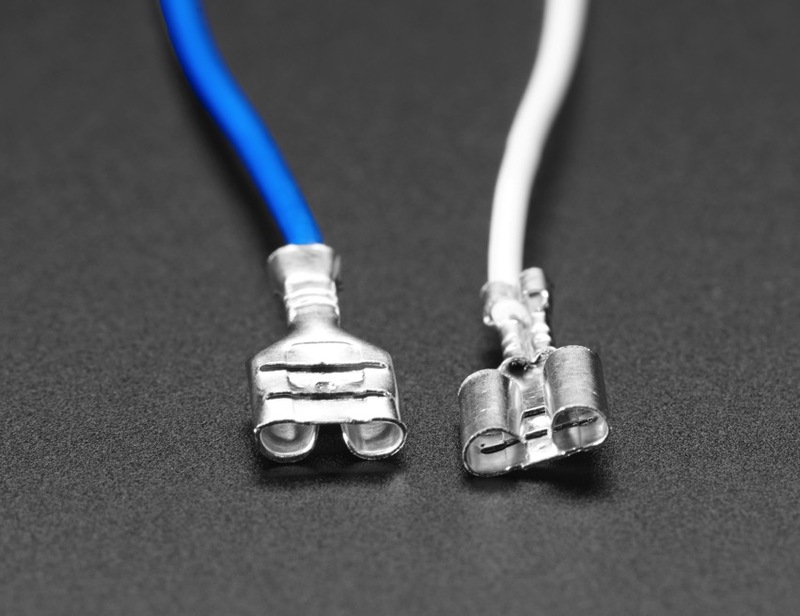 This connector will fit in 0.1″ headers, so it’s breadboard compatible or you can stick two wires into the end. Of course, you can chop this off if there’s no use for it. But they are not compatible with the LED contacts Massive and Large Arcade buttons. 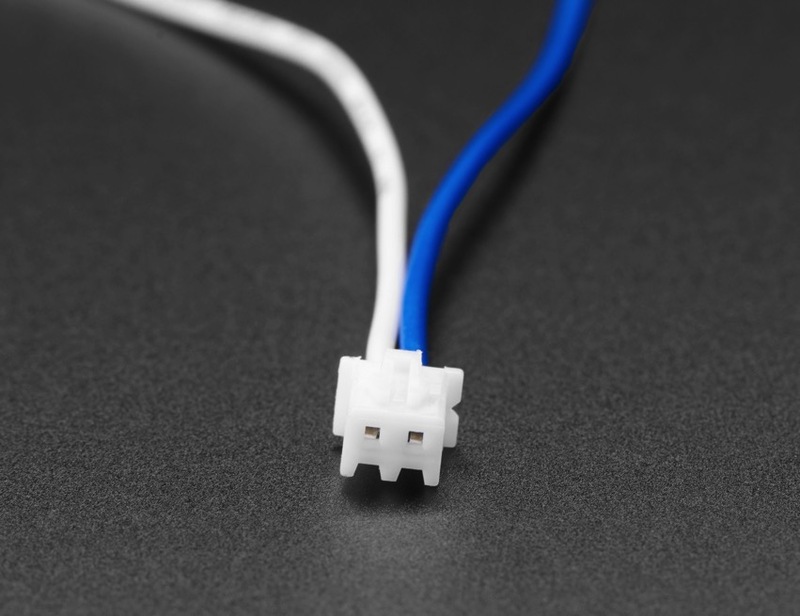 For those, you’ll want the 0.25″ Arcade/Button Quick-Connect Wire Pairs. 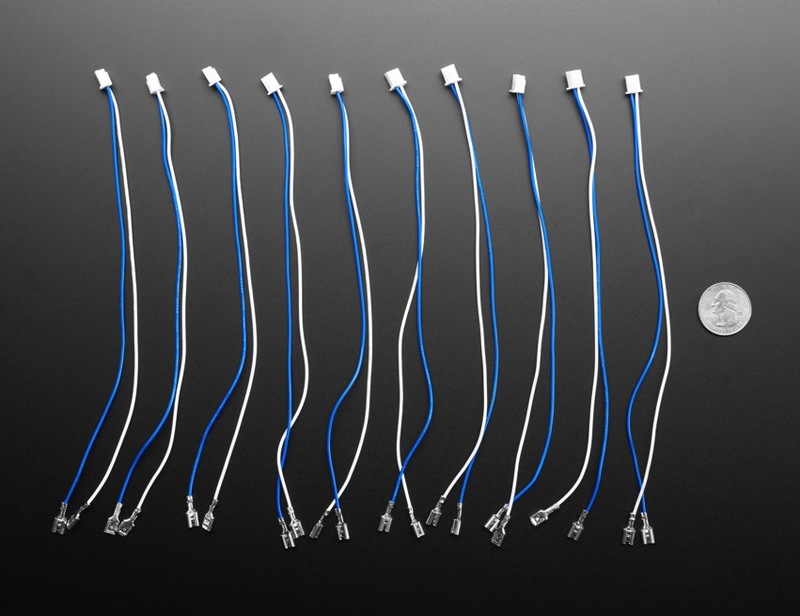 We also have 0.11″ Quick-Connects. We’ve also noticed that while these are the right size, they may be a little loose on some switches. 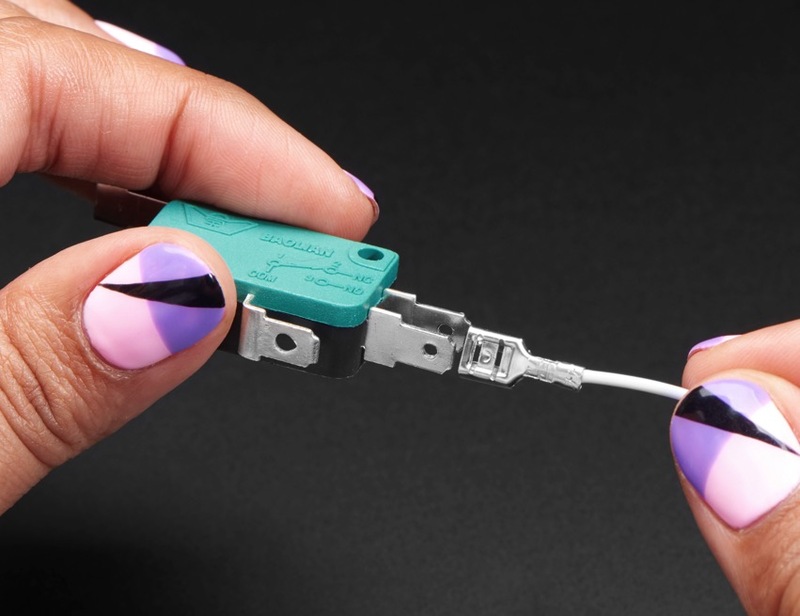 You can crimp them a little more with a pair of pliers to get a better grip! But they are not compatible with our smaller LED and mini arcade and buttons. 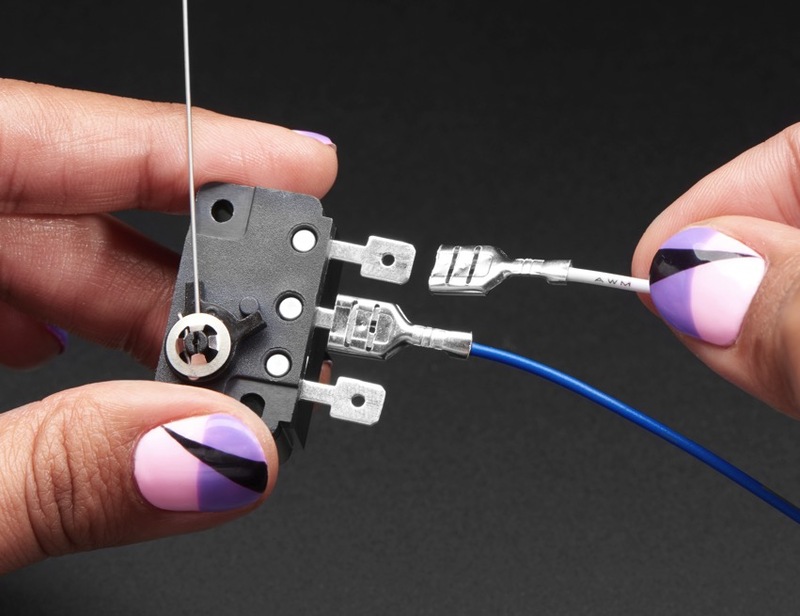 For those, you’ll want either the 0.11″ Quick-Connect Wire pairs or the 0.187″ Quick-Connect Wire pairs.